You are viewing Sharon Rawlins's post archive. 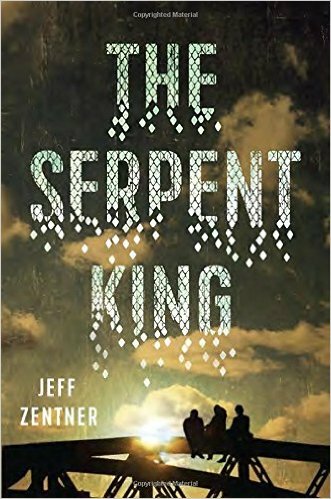 Jeff Zentner is a finalist for the 2017 William C. Morris Award YA Debut Award, which will be presented at the ALA Midwinter Youth Media Awards on Monday, January 23, 2017. The Serpent King is about three teenaged outcasts in the small town of Forrestville, Tennessee, who are seniors in high school trying to overcome their family’s histories and expectations to make their own choices for how they want to live their lives. 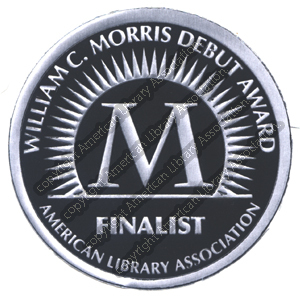 Congratulations on being a Morris Award finalist. What was your reaction when you got the news? Great surprise! I actually found out on twitter from a librarian who’s totally unconnected with my publishing network (editor, agent, etc.) from whom I normally learn information like this. And my first reaction was “oh man, I hope this guy isn’t pulling my chain. The difficult relationships between fathers and sons and the sins of the fathers being visited on the sons is a major part of the book. Did you have a difficult relationship with your father? 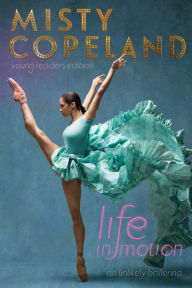 How autobiographical is your book? I had and have a great relationship with my dad, so those parts of the story aren’t autobiographical. I did grow up in a strict religious faith that often left me feeling alienated and isolated from my peers at school, like Dill. But, like Dill, I managed to make a few very great friends who were my lifeline. I was heartbroken over the fate of one of the characters and actually burst into tears while reading your book on a train. 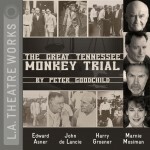 You didn’t pull any punches here and it’s an honest and sometimes unflinching look at these three characters’ lives. Were you worried that readers would be angry about what happens to one of the characters? I honestly didn’t think beforehand that I was capable of writing a character that people would feel deeply enough to be angry with me about. I discovered that I was from my first reader, my buddy Jarrod. I gave him my manuscript to read and sort of forgot that he was reading it until one day I got a text from him that simply said: “You [expletive] [expletive].” I was like “????? ?” and he texted back “[Character name].” It makes me very happy that readers are forging a connection with these characters, even if I have to endure occasional wrath. Religion, especially Pentecostalism isn’t a religion that I’m very familiar with – especially the unusual practice of snake handling. It’s certainly not something that’s explored in YA fiction very often. What made you include this? Do you have personal experience with unusual worship practices? Have you ever been reading and the word you’re reading is also mentioned by someone nearby or by someone on TV at the same time? It’s just one of those strange instances when you see or hear the same thing repeated again at the same time or shortly afterward. It happened to me recently when reading or listening to two very different books. Both contained strange random facts about the same thing. I’ve just learned that there’s a name for this occurrence: Baader-Meinhof. It’s the phenomenon where one happens upon some obscure piece of information—often an unfamiliar word or name—and soon afterwards encounters the same subject again, often repeatedly. 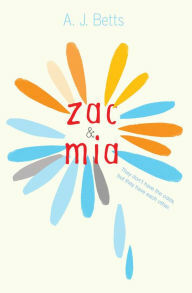 I was listening to Zac and Mia by A. J. Bett’s (2014), one of SYNC’s summer selection of audiobooks a few weeks ago. The main character, Zac, who’s got leukemia, is a bit of a nerd when it comes to knowing strange stats about how people have died. He’s trying to get to know a fellow patient in the hospital named Mia. In trying to take her mind off her own diagnosis, he tells her about all the strange and unbelievable ways people have died. One of them was a man from NJ who died in 2009 by falling into a vat of hot chocolate. Now, not only did that get my attention, because I love chocolate and couldn’t believe that anyone would actual die in such a bizarre way, but because I live in NJ and didn’t remember hearing anything about it at the time. 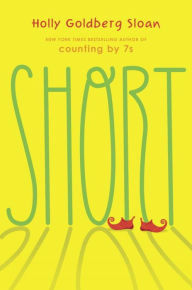 Then, a few days after finishing listening to Zac and Mia, I started reading the galley of Holly Goldberg Sloan’s upcoming (Jan. 2017) middle grade book called Short. It’s about a girl named Julia who is grieving her beloved dog’s recent death and spending the summer playing a Munchkin in a community theater’s production of the Wizard of Oz. Their director has accidentally fallen off a ladder and broken his coccyx. One of the adults in the production, also playing a Munchkin, tells Julie that falling can be very serious. He then mentions the same case of the NJ man falling and dying in the vat of chocolate. Even though the books weren’t written at the same time, or by the same authors, it’s just a bit strange that two different people would write about the same incident and I’d be reading about both instances at around the same time. What are the chances that two different books, one for middle grades, and one for older teens, would be published within six months of each other, both about heretics, set in medieval France in the years 1241 and 1242? I don’t know about you, but aside from the story of Joan of Arc, I’ve rarely read many YA books about characters who can perform miracles (fantasy books don’t count) and who are considered heretics. A heretic, as defined by the dictionary is, “a professed believer who maintains religious opinions contrary to those accepted by his or her church or rejects doctrines prescribed by that church.” Although there are many YA books where characters are accused of being witches who could also be labeled heretics by the church, I’m limiting this discussion to just two new books. I’ve noticed an increase recently in the number of YA books being published featuring characters who are selectively mute (at least four published this year). They can speak, but choose not to – as opposed to characters that are involuntarily mute who cannot speak because of injury, illness or magic. I can’t exactly explain this trend except to say that maybe current events have made authors focus more on mental health issues. Many of the characters in these books who are selectively mute have experienced traumatic events and have reacted by engaging in self-harm or risky behaviors, or been bullied or bullied others. This has contributed to their loss of their voices – they’ve withdrawn into themselves and don’t want to anyone to pay any attention to them. It’s at this most vulnerable time in their lives that teens are finally becoming independent and learning to think for themselves. It’s vital that they be allowed to find their voices and express themselves in healthy ways because it will shape who they become. Characters that are unable to speak but are able to communicate in other ways, such as through telepathy, are pretty common in science fiction and fantasy books. Most of the recent books I’m mentioning here are realistic fiction. There’s also a trend away from the secondary characters being the mute ones; it’s becoming more common for the main characters to be mute. Even if they have been victimized and become selectively mute, they have found other ways to express themselves – especially through art. The withdrawn character who rarely speaks isn’t a new phenomenon in YA literature. Speak (1999), by Laurie Halse Anderson, (2000 Michael L. Printz Honor Winner; 2009 Margaret A. Edwards Winner) is a classic example, and a book that’s on many high school required reading lists and has inspired other books. In Speak, Melinda enters her freshman year of high school friendless and treated as an outcast because she busted an end-of-summer party by calling the cops, so now nobody will talk to her, let alone listen to her. She becomes increasingly isolated and selectively mute. Only her art class offers any solace, and it is through her work on an art project that she is finally able to face what really happened at the party: she was raped by an upperclassman, a guy who still attends the same school as she does and is still a threat to her. Her healing process has just begun when she has another violent encounter with him. But this time Melinda fights back, refuses to be silent, and thereby achieves a measure of vindication. Another book that made a big impact on me when I read it was Hush: an Irish Princess’ Tale by Donna Jo Napoli (2008) (2009 Best Fiction for Young Adults). In Napoli’s story, Melkorka is a princess, the first daughter of a magnificent kingdom in medieval Ireland — but all of this is lost the day she is kidnapped and taken aboard a marauding slave ship. Thrown into a world that she has never known, alongside people that her former country’s laws regarded as less than human, Melkorka is forced to learn quickly how to survive. Taking a vow of silence, however, she finds herself an object of fascination to her captors and masters, and soon realizes that any power, no matter how little, can make a difference. The Problem with Forever by Jennifer L. Armentrout (2016). Mallory is a foster kid who, during her traumatic childhood, protected herself by remaining mute. She was rescued from abusive foster parents when she was 13 and, since then, has been living with a loving foster family being homeschooled. Now, 17, she’s attending public high school for the first time, and she must gain the strength and courage to learn to speak up for herself. Tommy Wallach’s Thanks for the Trouble (2016) (current Best Fiction for Young Adults nominee). Hispanic Parker Santé hasn’t spoken a word in five years, after witnessing his father’s tragic death in a car accident. While his classmates plan for bright futures, he skips school to hang out in hotels, killing time by watching the guests. But when he meets silver-haired Zelda Toth, who claims to be 246-years-old, but looks like a teenager, he discovers there just might be a few things left worth living for. 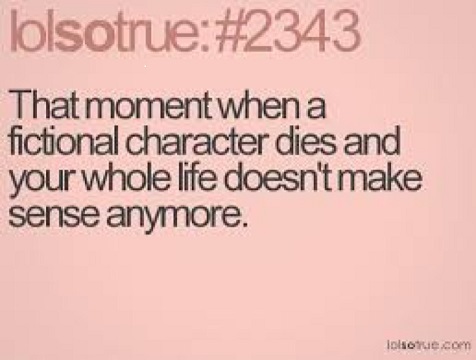 I know we’ve all been shocked and upset when a favorite character unexpectedly dies in books and TV shows. I haven’t seen the TV show based on Cass Morgan’s The 100 series but I heard about one of the main character’s recent deaths’ and how enraged fans were (even though this character isn’t even in the books). I know that killing off beloved characters isn’t new in books or TV series – but in the past it seems like it happened more infrequently – and characters weren’t always really dead. The “it was all a dream scenario” trope (like Bobby’s death in Dallas, yeah, I know, many of you weren’t even born then!) was used in many books and shows. Soap operas repeatedly reinforce the idea too. Because of that, we’ve been primed to think that major characters won’t die but when it really happens in books and shows, we refuse to believe it and rail against the writers for killing off our favorite characters (Sean Bean as Ned Stark in Game of Thrones, or Will from The Good Wife) – even if that’s how it was originally written in the books that these shows were adapted from! Even YA literature, where a majority of the books end happily or on a more hopeful note, is trending toward killing off more major characters than ever before. I think it’s a reflection of the reality of the world we’re living in. More readers are also aware of it because of the prevalence of social media with its instant access to the news and the plot points from books and shows. Is this a healthy trend? I have mixed feelings. On the one hand, when times are tough you want to escape reality by reading about positive things where good triumphs over evil. I know that’s why I love fantasy and science fiction. Superhero movies and graphic novels fulfill that need to believe that evil will be defeated and that the good guys may seem to die but aren’t really dead because they then come back to life. Since we’re so used to superheroes that don’t or can’t die or books that have happy endings, when beloved characters do die, it’s even more of a shock and a betrayal. I don’t blame fans for going ballistic when a character dies, especially those who did not deserve it (Rue from The Hunger Games or Chuck from The Maze Runner). Yet we know that death is a very real possibility in our daily lives. Characters have physical and mental illnesses and they die or take their own lives. It’s a tough reality but it’s still heartbreaking when it happens, especially when it happens more quickly or to a different character than you expected (like Augustus in The Fault in Our Stars). That’s why I think a lot of teens like realistic fiction because it doesn’t lie or mislead, the truth is there in all of its starkness and finality – like it or not. There’s a catharsis that the reader experiences in going through what the character does. You’ve survived at the end, even though the character hasn’t, even if you do have a headache from crying your eyes out over their death. Maybe we as readers have we gone soft in always expecting characters to survive? Supernatural fantasies may use reanimation to being characters back to life that really should be dead but what about other dystopian books that realistically portray the reality of a cruel, hard world where few will survive? Is it really fair to expect authors to keep characters alive because they don’t want to anger or disappoint their fans? I don’t think it is. If you want to read a great teen guest Hub blog post about getting over a fictional character’s death from 2014, check this out. Up to this point, I’ve tried hard not to blatantly include spoilers of some readers’ favorite characters who have been killed off, including my own favorites, but now I’m going to be specific. Stop reading if you don’t want to know! You may be familiar with YA fiction books that deal with mental health issues, but in honor of it being Mental Health Month, I’m highlighting mostly nonfiction YA resources (with a few new or forthcoming fiction titles). When colleagues ask me for nonfiction books to recommend to teens to help them cope with mental health issues, I don’t find many. 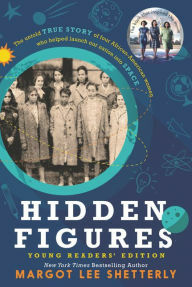 Sure, there are those written that will be useful for class reports, but not many nonfiction titles that offer real, practical, how-to advice. Most of the helpful resources I have found are online in the form of blogs, articles, brochures, or pamphlets since that’s what’s easiest to keep up-to-date. Medlineplus, that has health information from the National Library of Medicine, includes a teen mental health section on its database, that’s free to access. KidsHealth is part of the KidsHealth family of websites. These sites, run by the nonprofit Nemours Center for Children’s Health Media, provide accurate, up-to-date health information that’s free of “doctor speak.” Their site has very understandable and helpful information for teens on a variety of topics, including teen suicide. TeensHealth has information about health related to teens, such as information about body, mind, sexual health, food & fitness, diseases & conditions, infections, school & jobs, drugs & alcohol, and staying safe. American Foundation for Suicide Prevention has information that will help teens learn more about suicide, how to prevent it, cope with a suicide loss, research, and ways to get involved in suicide prevention, such as Out of the Darkness Walks. If you are a teen in crisis, resources are available online on this site for you. DoSomething.org’s Crisis Text Line –Provides teens with free, round-the-clock access to trained counseling and referrals. Mood 24/7 – This app allows users, including teens, to send a daily text message about how they feel to a doctor, a therapist or loved one. CodeBlue – This project by Melon Health, scheduled to launch spring of 2016, is designed to help teens alert members of a designated support network with a text message whenever they feel acutely depressed. It is designed to provide teenagers struggling from depression or bullying with support when they need it. Users can choose several contacts to be part of their support group. With just a few taps, the app will alert the support group that the user needs immediate help. 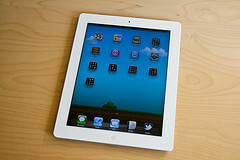 Members of the support group can then text or call the user. The app can also share the user’s location with the support group, and members can indicate that they are on their way to see the user in person. Code Blue will be free on both iOS and Android. We all have our favorite social media apps. According to the 2015 Pew Center report on teens and technology, 72% of all teens spend time with friends on social media. Of these teens, 23% do it daily. Texting is still the top activity for teens, but messaging apps are also popular with 42% of teens using apps such as Kik and WhatsApp and 14% use these types of app every day. Since Teen Tech Week will be celebrated March 6-12, I asked some of the youth services librarians in my area what apps the teens in their libraries are currently obsessed with. I know their tastes change pretty quickly so what’s popular now may not be popular in six months. Therefore, I was a bit surprised to find that they are using a lot of the same apps that have been popular for a while now but I also learned about some new ones too. In my request from my colleagues, I didn’t specify what kind of app suggestions I wanted so, unsurprisingly, more of the answers fell into the texting or micro-blogging category, when what I really wanted was gaming apps. I admit I haven’t spent as much time as I probably should playing gaming apps so, a number of these were new to me, although they may not be to you. The most frequently mentioned gaming app that seems to be all the rage right now is Stop. It’s a fun categories word game app you can play against others. You randomly select a letter to start and type a word for each of the 5 different categories that start with that letter. The player that gets most correct words wins. There are categories for Star Wars, superheroes and many others. A number of librarians said that they and their teens were obsessed with Neko Atsume: Kitty Collector, the Japanese cat collecting game. The game’s very simple. The goal is to leave food and toys in your virtual backyard to attract cats – over 40 of them – all with their own unique looks and personality. Most of the cats are ordinary cats, but there are some rare cats too, but in order to get them to come, you need to lure them with special items. I first saw a colleague playing it last year and, although I prefer dogs to cats, it looked so adorable that I began playing it too. It’s quite addictive. In Japan they’ve had live-action recreations of the game that you can watch on YouTube. Another popular Japanese game is the free Alpaca Evolution app. I’ve never played it but it sounds fun, although very strange. You are an alpaca that mutates and consumes other alpacas. As you consume other alpacas you evolve and mutate into something stronger and stranger. Every time you evolve you get a new description of your new form. It doesn’t require a lot of skill, but it’s a lot of fun seeing what disturbing alpaca monstrosity you evolve into next. An in-game encyclopedia explains each of your new forms in bizarre detail, rating your strength and giving you a bunch of useless vital statistics.